NOW AVAILABLE! This single-family home is a two-story home with four bedrooms, three and a half bathrooms, plus a two-car garage. The open plan kitchen with breakfast nook looks into the dining and family rooms. The master bedroom has a private bathroom with a walk-in shower and his and her sinks. Additional rooms include a den and a laundry room with washer and dryer. This highly energy efficient home features 42-inch maple cabinetry, quartz countertops in both kitchen and bathrooms, stainless steel appliances, state of the art security system and faux-wood blinds. 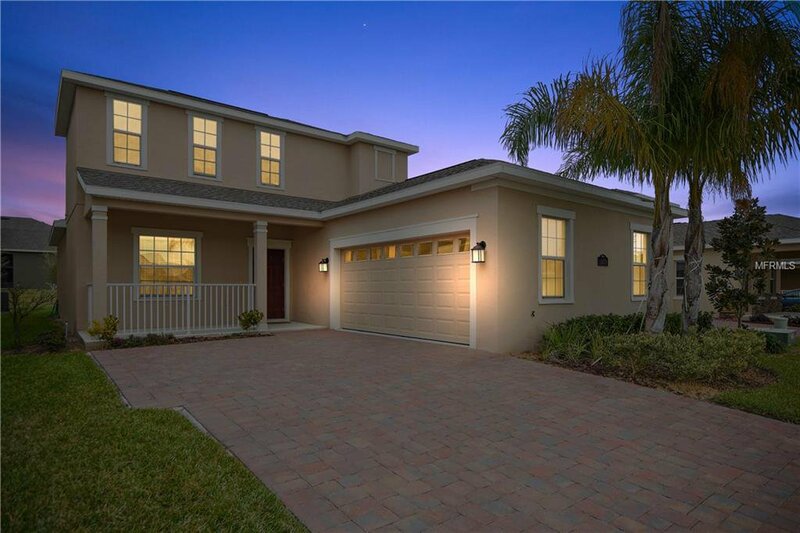 Independence is a master planned community located conveniently near Winter Garden and Windermere in Orlando, Florida. Residents of Independence enjoy the best of natural Florida with a variety of leisure activities for all ages, including a clubhouse, playground, sports courts and a swimming pool. Room measurements are approximate and should be independently verified by the buyer. Listing courtesy of PREMIER SOTHEBYS INT'L REALTY. Selling Office: JOHN SILVA REALTY & ASSOCIATES.